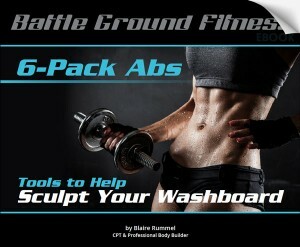 In this very special eBook, Blaire covers the structure of your abs and the muscles you will be working in the 10 amazing exercises that she and bodybuilder, Jayson Mitchell, demonstrate. Do you have to be skinny to see your abs? Do you have to do a million crunches to get great looking abs? These answers to these questions as well as helpful tips on how to get the most out of your ab workouts are all in the eBook. We promise to keep it minimal.